There are many moving pieces when decorating your home, you likely spend a great deal of both time and money selecting your furniture, flooring, lighting, and wall colors. 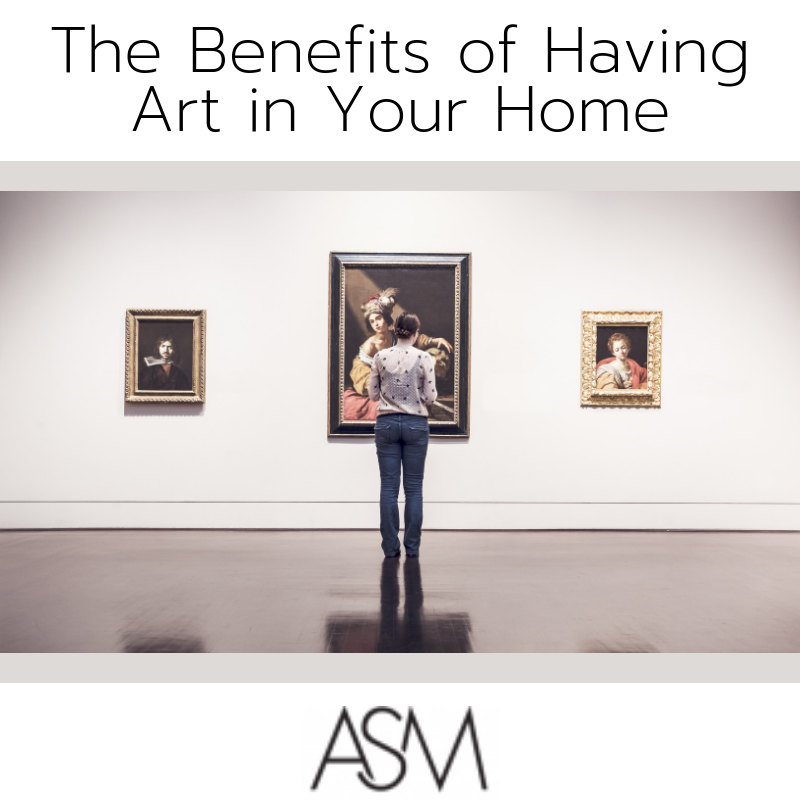 But one thing you may overlook is the key place that art can have in your home. We are fortunate enough to frame a wide variety of collectibles and works of art here in our framing workshop, so we know the extensive selection you have to choose from. 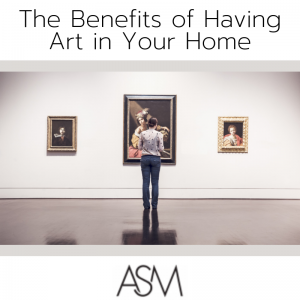 You may be on the fence though, so we thought we’d share a few of the benefits you gain from having artwork in your home. First, hanging artwork in your home helps you stand out from ordinary homes by injecting a sense of character. Ideally speaking, you should be hanging pieces that mean something to you, or that you feel yourself responding to in some way. You can choose a theme for the different rooms of your home and let the artwork serve as an anchor point to those themes. Imagine a living room with a broad piece showing a sailing ship fighting through a storm, waves crashing on the sides, struggling sailors on the ropes, pitching themselves in battle against nature itself. This could then tie into a room with darker, muted colors on the walls, with brass accent pieces evoking a thoughtful captain’s cabin. Or you can have a landscape, showing rolling green hills, a windmill, and acres of flowers and grass. This piece goes well with a lighter color on the walls, brighter hued furniture, and a vase of fresh cut wildflowers set in front of a picture window facing the sunrise. Artwork creates as sense of personality and place to your room in a way the other components of your decor don’t. Second, it’s worth noting there’s a mental health benefit that comes from artwork in your home. Having a pastoral cabin scene to sit and look at when you’re needing to relax at the end of the day, or an open sky view when the claustrophobic sense of life begins to set in, all can help you balance out the less pleasant moods you know you can become accustomed to. There’s a refreshing sense you get from using the art to serve as a counterpoint to your own struggles, a declarative statement to the mindset you choose the have, not the mindset life may try to force you into at times. Finally, hanging artwork can have a benefit to your resale value. When it comes to showing your home for purchase, strategically placed artwork can better communicate a story to prospective home buyers, helping them see themselves as owners of the home, creating a deeply personal connection without ever needing to meet them. Artwork brings a sense of class to a home, and helps someone see that when they buy the home, that sense of class can be theirs as well!